So you’re having a baby….congratulations! Now the fun begins because just like you did for your wedding, you get to register for all these fun baby items that people will buy and give at your shower, right? WRONG! Baby registering is nothing like wedding registering…at least, in my opinion. When you’re registering for wedding gifts, you’re picking out towels, dinnerware and household items, none of which really matter what you end up choosing because it’s all really based on preference (although a few things do require careful consideration). When you’re registering for baby items, you are registering for health, safety and the overall well-being of your child. Let me start by saying the research itself was completely overwhelming. My girlfriend let me borrow what I’m told is the pregnancy bible ‘Baby Bargains’ book. This 900-page book is filled with information about what you need, don’t need and how to shop/register for your baby spending money where you should based on mounds of research and reviews. The book is really incredible and I suggest any new mom purchase or borrow it but be warned, it will make you question everything! I went back and forth on so many items, not to mention researching online myself and reading reviews that it made my head spin! Why do we as moms-to-be do this (or at least, why did I)? Well, because this is my first child and I want to be able to provide the best for him or her (on a reasonable budget of course!). And as I bond with this child growing inside of me, I already feel completely protective of this baby and want to know I did everything I could to keep him or her safe. I know that only goes up to a point and it’s ultimately up to God, but if I can get a car seat that keeps my child safe if we get into an accident, then at least I can feel good about that! 1. Research. Research, research, research! There are a lot of items out their for babies and an overwhelming about of brands to choose from. Figure out which items are most important to you (for me it was: furniture, car seat and stroller) and really look at lots of reviews. Get the Baby Bargains book or join Consumer Reports and read up about the items you’re most concerned about. Also take into consideration not skimping on price when it comes to those (while the best isn’t always the most expensive, with some of the bigger ticket items, the saying ‘you get what you pay for’ does hold true). Don’t also be afraid to ask friends for help! 2. Talk to other moms. You know your friends that have kids? Well, they know a thing or two about what products they like, don’t like, what you can get away with not getting and what are ‘must haves’. Take a friend registering with you, in fact, take a few! I went two different times with one girlfriend and the other time with two! I got their opinions and advice then with my own research, made my decisions. It’s super helpful to talk to others who have been through it already, especially those who are close to you. Are you the first of your friends to get pregnant? 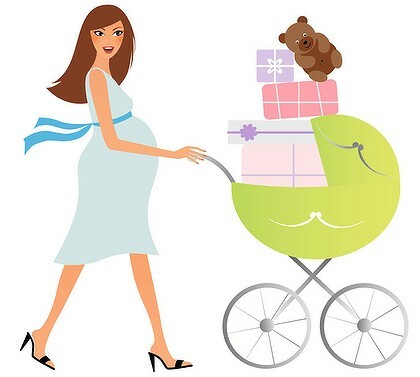 Check out baby sites like Baby Center or The Bump for chat rooms on EVERYTHING! It also doesn’t help to ask a cousin or even aunt who recently had a baby on her advice or if you feel comfortable enough, a co-worker! 3. Take a break. Registering became my second job. Everyone knows me by name at the Buy Buy Baby I registered at and I would find myself checking and adjusting my registry several times a day. I would read something and remove an item, then re-add, then delete. I was honestly making myself crazy! That’s when I had to step back and take a break. I stopped reading and researching as well as checking my registry. When I came back to everything (a few days later), I made final decisions on items I wasn’t sure on and called it a day! 4. Stick with your decisions. It’s very hard not to be swayed by others, or even question your own judgment. Am I getting the right product? Is this item safe? You will question everything, I know I did! I think what I found to be best was sticking to my decisions. I had friends ask about particular items or even family members call and say they saw a car seat here or something else there but I would just say that I’m happy with what I’ve picked out. It’s a great way to prepare for when the baby comes, because you’ll have to stick with many of the decisions then too and of course, it’s one big learning and growing experience! 5. Have fun! I don’t think I really took the time to do this. I said to my two girlfriends who were with me, “this is so stressful” and they said, “no, it’s not, have fun with it, this is such an exciting time for you”. It wasn’t until that statement when I realized, yes it is. I can worry and be all ‘nutty’ about products or I can have fun looking at little outfits and all the fun toys they have for babies now. Don’t let your worrying take away your fun.